Leave gas range repair needs in Whitby, Ontario, to our appliance specialists. Is there a gas leak? Deal with stove range problems? Whatever the problem is with either the stove or oven of your range, our techs can fix it. We, at Appliance Repair Whitby, are certified pros and qualified to fix and install any home range. Whether your appliance is a gas or electric range, we can take great care of your needs. Ranges are special units. They consist of both ovens and stoves to save space. But they need proper services just as much as any other kitchen appliance. Enjoy the convenience of this unit by trusting gas range installation to our team. We can also connect electric ranges, but fitting gas appliances is a more complex and delicate task. If the range is not installed right, there might be gas leaks. And that’s the last thing anyone wants in the kitchen. In case of gas leaks, call us right away. 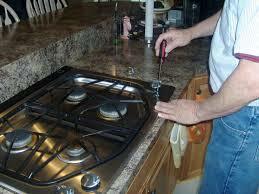 Our experts provide same day and timely gas range repair in Whitby. This problem can be caused by the improper installation of the appliance or its parts but also component wear. In either case, our pros can be of assistance. We don’t only come fast to fix your gas range but also bring new parts should we need to replace any existing ones. We come as well prepared when we are called to offer electric range repair too. Whether gas or electric, ranges are vital units of any kitchen. Local customers can count on our quick response but also efficiency. We can replace parts and fix both gas ovens and stoves properly. So do call our team if one or two burners don’t turn on or the oven is not heating up. You should also schedule the replacement of the door’s gasket when it is damaged to save energy. Depend on our professional and quick Whitby range repair work any time you need assistance. Call us today.